Doug Frame started playing at the Bayswater Football Club in 1960 playing 197 games. Doug was the Bayswater reserves coach in 1975 and 1976 as well as coaching local junior football teams. He was on the club’s executive for more than 21 years, holding various roles including Vice President from 1977-78 and President in 1979. 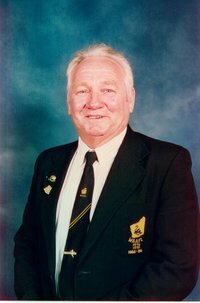 Away from his Club, Doug served on the WAAFL permits committee from 1975-79 and was on the WAAFL Board for 23 years from 1976 -1983 and 1985-1999. Doug was involved in the WAAFL state team as assistant team manager in 1980, team manager in 1982 and 1982 and a state team selector from 1980-1983. Doug commenced goal umpiring in 1985, umpiring 789 WAAFL games over 23 years. For many seasons Doug and his family coordinated gate keepers for all WAAFL preliminary and grand finals. 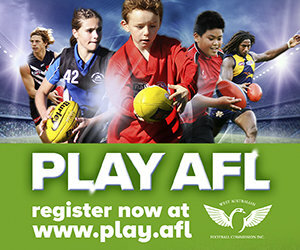 In 2000 Doug volunteered his time to the assisting the League’s relocation from Leederville Oval to Subiaco Oval, revamping the office and general maintenance. Doug was awarded WAAFL life membership in 1986 and Australian Sports Medal by the Australian Government for his services to Australian Rules Football in 2000. The clubrooms at the Bayswater Football Club are known as “The Jamieson Frame Pavilion”, named after Doug Frame and Colin Jamieson, another Bayswater Hall of Champions Inductee.